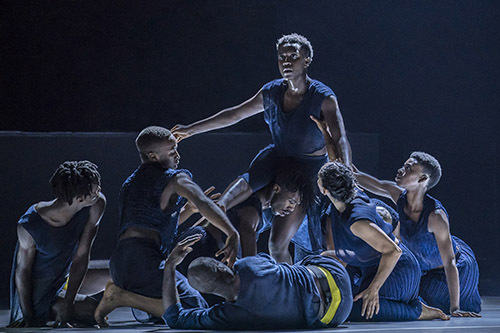 Sadler’s Wells celebrates the 20th anniversary of its current building this week, with seven world premieres from a new generation of UK-based dance-makers. The leading dance house commissions, produces and presents more new dance work than any other theatre in the world and has helped to bring over 160 new dance works to the stage since 2005, many of them involving its 16 Associate Artists, three Resident Companies and four Associate Companies. Tuesday marked the Sadler’s Wells debut of its first Young Associates: Anthony Matsena, Wilhelmina Ojanen, Ruby Portus and Christopher Thomas, who presented new works in the Lilian Baylis Studio as the first output of the new artist development initiative, which launched in February to support talented 18 to 24-year-olds making their first steps into their career as choreographers. The Reckonings programme, which premiered last night, presents three commissions by three bold new voices in dance: Botis Seva, Julie Cunningham and Alesandra Seutin. Intertwined with socio-political issues, the pieces tackle subjects including race representation, gender, identity, visibility and religion. 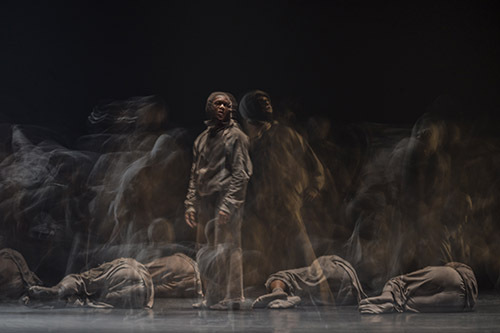 “Sadler’s Wells exists to enable talented artists of all backgrounds to create dance that brings a rich and diverse range of aesthetics, styles and stories to our stages. For our 20th anniversary, we celebrate our past achievements with our eyes firmly on the future. Julie Cunningham, Alesandra Seutin and Botis Seva possess fresh and distinctive choreographic voices that they’re not afraid to use to tackle current socio-political issues, each in their own style. The current Sadler’s Wells building is the sixth to have stood on the Islington site since entrepreneur Richard Sadler first established the theatre in 1683. In celebration of the 20th anniversary, artists and audience members took to Twitter yesterday to share their Sadler’s Wells highlights using #SW20. Reckonings runs at Sadler’s Wells until 13 October.